Have leftover cooked turkey or chicken? 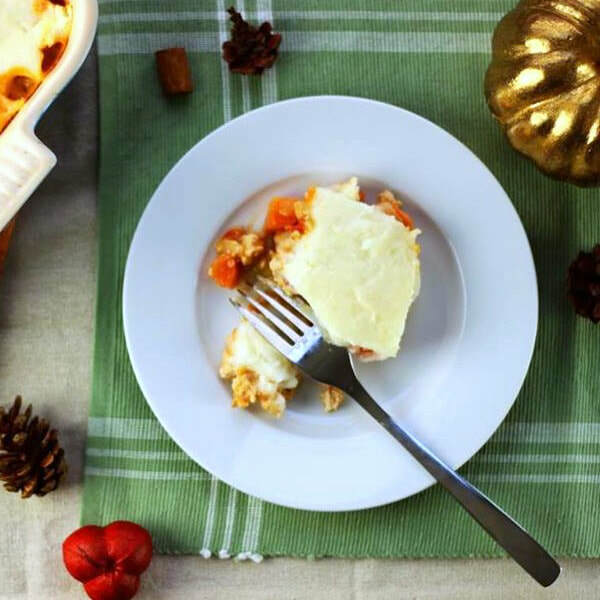 This Shepherd's Pie is the perfect recipe for you! Get creative and try different variations. You can use any vegetables you have on hand for this recipe. To make it even more budget friendly, choose vegetables that last. Preheat oven to 375°F. Grease a casserole dish with 1 Tbs oil. Add onions, garlic and the other Tbs oil to a large saucepan and cook over medium heat for about 5 minutes. Add the turkey and sprinkle in the flour. Stir to blend. Add the chicken broth, carrots, and tomatoes. If using rosemary, add that too. Cook over medium heat until thickened, then transfer mixture to casserole dish. Spread the mashed potatoes over the top. Bake for 20-30 minutes, or until browned. *Nutrition information includes chicken breast in analysis.